OKchanger wishes you a Merry Christmas and a Happy New Year! This year is coming to a close as the holidays draw closer. 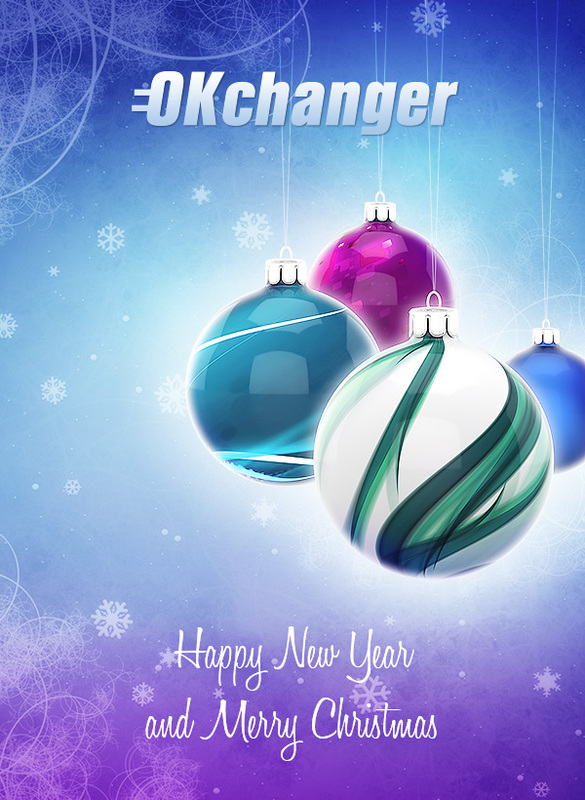 In this regard, OKchanger wishes you a Merry Christmas and a Happy New Year! May you accomplish your goals and achieve ultimate success in the coming year 2017! 200 new exchangers have joined our platform as partners. These improvements have been made with the intention of making your e-currency exchange experience as satisfying as never before. We’d also like to thank you for being with us all this time because you have been the inspiration our service needs in order to grow. We look forward to meeting you in 2017!